Fifteen year old Ikeuchi Aya was just a normal girl, soon to be high school student and daughter of a family who works at a shop that makes tofu. As time passed, unusual things started happening to Aya lately. She started falling down often and walks in a strange way. 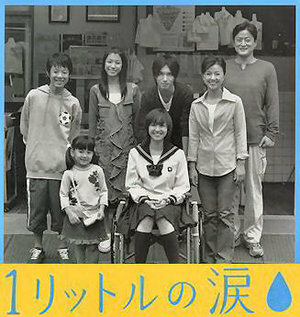 Her mother Shioka, takes Aya to see the doctor, and he informs Shioka that Aya has spinocerebellar degeneration - a terrible disease where the cerebellum of the brain gradually deteriorates to the point where the victim cannot walk, speak, write, or eat. A cruel disease, as it does not affect the mind in the least. How will Aya react when told about her disease? And how will Aya live from now on?